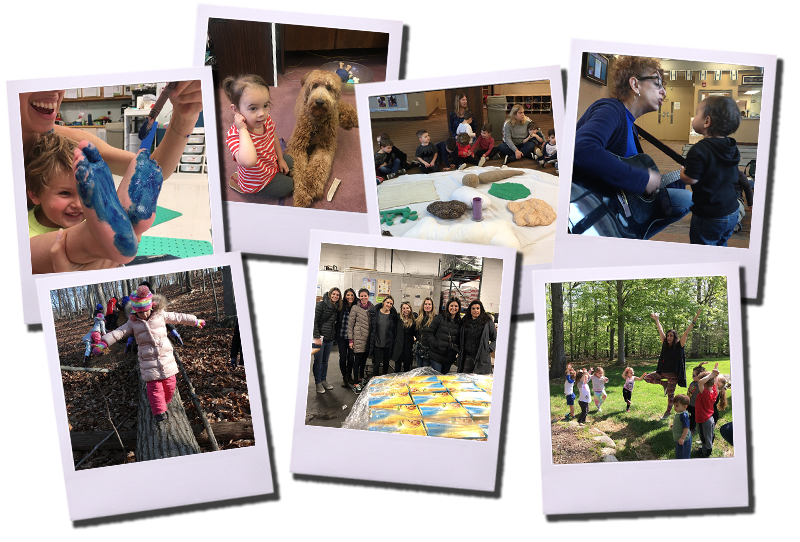 The Exceptional is EVERYDAY at Barnert Temple Preschool & Day Camp! Simply walk through the door and you feel it. Before you even meet us, you and your child sense an energy, a “vibe”, a “gut feeling” that this is the place you’ve been looking for! Staff, parents, even our children are curious to know who you are. Will you be a new friend? Will you join our learning community? Are you ready to be wonderfully surprised again and again by what your children talk about at home? Are you ready to be part of a journey of wonder and joy, where children are encouraged to be curious, elevating learning to a higher level? As you tour this website, you will find multiple examples of what has come to be known as the #barnerteffect. You’ll discover a community where the home-school connection touches each individual family, helping its growth and development to soar. You will experience a place where children and educators joyfully learn and laugh all day long. You will be aware that you have found somewhere different. When you visit Barnert, you will see, feel, experience, talk about and, hopefully, become a part of all that makes us special. Pictures Alone Can't Do It Justice! Come see our Preschool programs, hear the laughter, get a few hugs, and "see" yourself in our family! Our classrooms are spacious and airy, designed to reflect our early childhood philosophy. Our 10-acre grounds surrounded by forest offer multiple areas for optimal outdoor learning. Children are given ample time for exploration of the natural world. Connecting children with nature is a core value at Barnert. We know that nurturing that connection at an early age enables children to become environmental stewards, while fulfilling the Jewish value of tikkun olam, repairing the world. At Barnert, play is education. In our thoughtfully created environment, our children learn to think deeply and to play with purpose, which leads to a strong sense of self. Their confidence levels are high as risk-taking is supported and encouraged. Based on the most current research in early childhood education, our curriculum is cutting-edge while simultaneously maintaining core principles in child development. Every child’s needs are honored, valued, and regularly assessed to provide optimal growth potential. Jewish holidays are joyful and give us many opportunities to celebrate our heritage with music, art and food. Friday begins Shabbat, the weekly reminder to use the Sabbath as a time to disconnect and reconnect. Every Friday fills the building with the delicious smell of children’s individual challah baking, while the whole school comes together to sing joyful Shabbat songs. It is in these times that we are a community of diverse people with a deep desire to see the best in each other and in the world. Celebrating our 30th year of successful Jewish early childhood education, still under the guidance of our founding Director, Sara Losch. Beautiful park-like grounds including forest areas for exploration, large multi-sensory playground, working garden, and mud-kitchen. Exciting Enrichment Programs offered Tuesday and Thursday afternoons from 12:30 – 2:30 PM. Weekly curriculum specials include Hebrew, yoga, gym, and music. Work closely with top Occupational, Physical and Speech therapists to bring best practices from their fields into our work. Low child to teacher ratio and personalized attention. Strong parent involvement includes many opportunities for working parents. Half-day: 9 AM – 12:30 PM; Full-day: until 3 PM; Extended-day: 8 AM – 4:30 PM. We infuse our spaces (inside and outside) with sensory experiences recognizing the importance of fulfilling sensory needs for all children. Open to families of all faiths and cultural backgrounds. Creative programming for children 15 months through pre-k.
Strong security provided (Security Fee: $375 per year provides full-time security guard and full security services). Membership/Facilities Usage Fee: $675 per year, per family.